Clever childish humor – Not everyone can appreciate a good ‘ol poop or fart joke but The Behemoth knows there is a place for that kind of humor. It may be childish and immature but there’s something to be said for seeing an adorable cartoon deer being propelled along a level by explosive diarrhea. 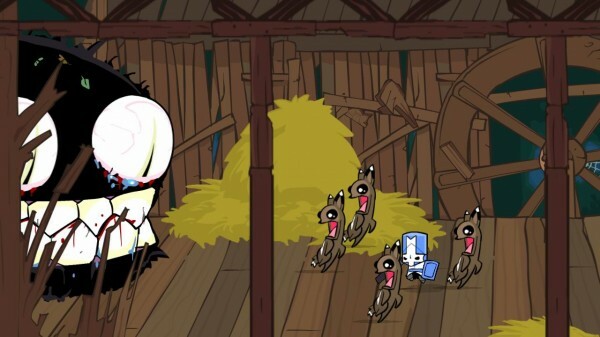 Castle Crashers is littered with this kind of visual gag, although they aren’t always quite so vulgar. It’s this childish charm that can keep you going forward, with every level filled with lots of new amusing things to discover, it’s hard not to eagerly anticipate every new level. 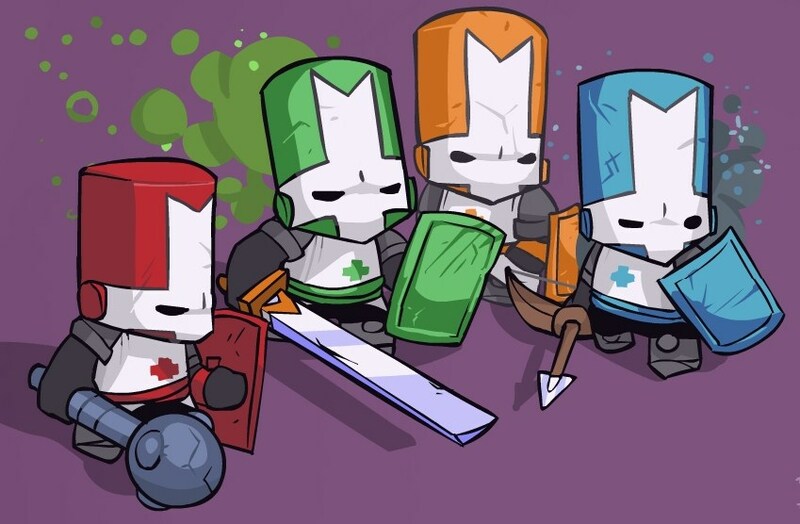 Unrivaled presentation – Dan Paladin’s art style is a joy to look at, Castle Crashers is filled to the brim with character as a result. 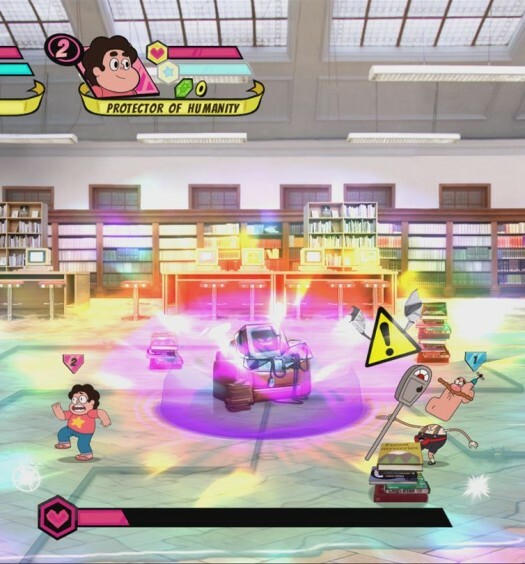 The game looks like a cartoon, with the wonderfully animated player characters and enemies brawling in lovely high definition. Castle Crashers is how we all expected games to look back in the day before we even thought about 3D. For the games music The Behemoth turned to their roots and sourced the Newgrounds community, the result is a varied and outstanding soundtrack. There’s everything from mellow old timey sounding tracks for walking in the woods to straight up techno as you fight off ninjas on a boat. More than a brawler – As awesome as the art, music and humor are they don’t count for much if there’s no actual game to play. Castle Crashers takes the traditional side-scrolling brawler gameplay and adds a few pretty compelling systems on top. First up is magic, each character has several unique magic attacks which do varying amounts of damage. When you combine this with the usual light and heavy attacks, not to mention a few items like a bow, it really does make the combat interesting for far longer than most similar games. These systems also change as you level up which you do by gaining experience from fighting enemies. Once you reach a new level you might unlock a new power and you will earn points to spend on improving your stats. The RPG elements are fairly light but they add even more depth to an already packed game. Content, content, content – This entire review could very easily just be a huge list of all the great content stuffed into Castle Crashers. The single player is a pretty decent length and has an insane amount of replay value. Almost all the levels contain some kind of secret, whether it be a new weapon, new animal orb (little creatures that follow your character and have their own special abilities) or just a cool easter egg to check out. As you progress you will also unlock new characters to play, 28 in total, each with their own unique magic abilities and attacks. To see and unlock all this content will take most gamers weeks of dedicated play time. 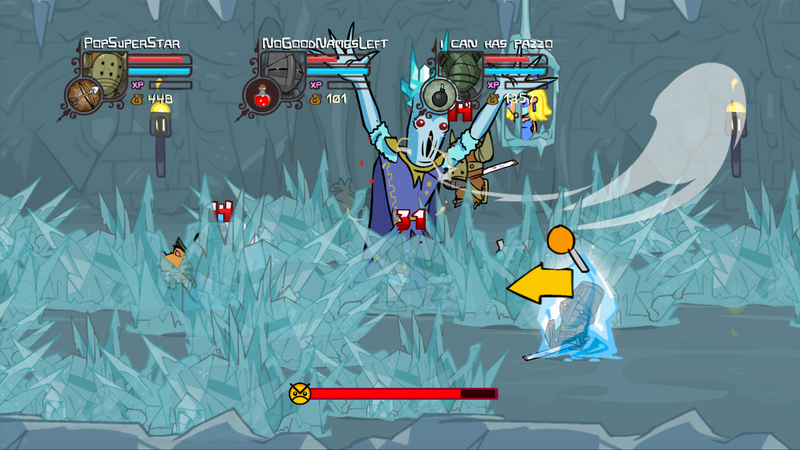 Difficulty – Castle Crashers can be punishingly hard at times, continuing the tradition started with Alien Hominid. The majority of the game is challenging but not too tough, however there are a few spikes. Oftentimes death will come very unexpectedly as you get surrounded and are quickly overwhelmed by a mob of enemies. Some of the boss battles also become more difficult due to unclear patterns or methods of attack, and they occasionally drag on a little too long. Just a little bit more… – It seems crazy to ask more of Castle Crashers, there’s just so much to the game. That being said (magic aside) the games combat system is fairly basic with only a few very simple combos, it would’ve been great if characters had more moves. It’s not something that brings the game down too much but extended play sessions do bring on that lingering thought that things would get less repetitive with a bigger combo library. It should speak volumes that there are so many positive things to say about Castle Crashers but coming up with complaints is a struggle. There are few games on XBLA that offer such amazing value for money. One could easily have bought Castle Crashers on release and still be coming back to it now to unlock new things or check out the great DLC packs that have been released. Castle Crashers is a classic, you’d be hard pressed to argue otherwise. It can compete with many disc based games in terms of content and sheer fun-factor. Thanks to it’s awesome art-style it will no doubt stand the test of time far better than those games. And while it may not be for everyone the brawler gameplay, complete with excellent additions, will definitely remain fun for years to come. Castle Crashers is one of those games that truly needs to be a part of everyone’s collection. It has amazing replay value and couldn’t be more fun with friends on a weekend game night in the basement. Online is strong too, with very stable connections that keep lag from ruining the amazing experience. But perhaps the best part of the game is the fact that it has resurrected the brawler genre. It’s cartoon art style, lovable humor, and strong beam em’ up gameplay with a touch of RPG all mixes together in the perfect XBLA formula. If you took our advice and bought the game then you might want to check out our handy guides on how to unlock all the animal orbs, items and characters.